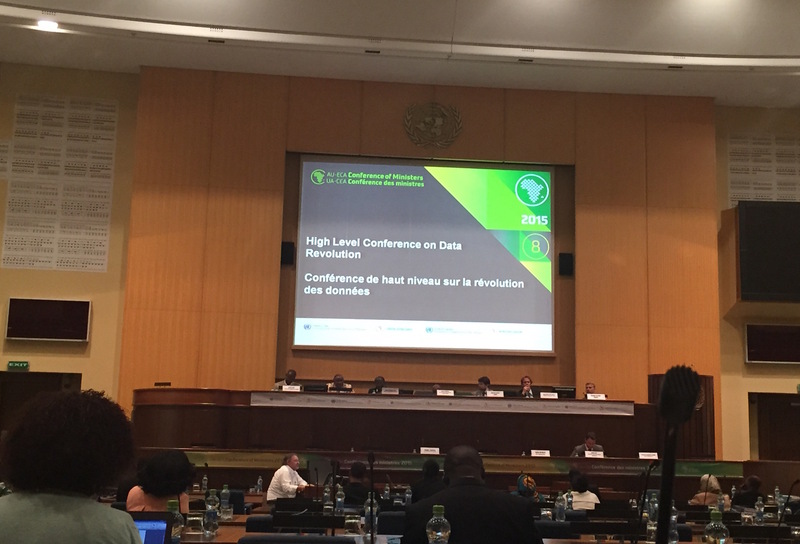 The High Level Conference on the Data Revolution was held in Addis Ababa, Ethiopia in March 2015. This multi-stakeholder meeting adopted the Africa Data Consensus as a document for supporting the emergence of a data revolution. Acting, constructing and deploying imply the existence of institutions through which these can be executed. For institutions to act, and to do so with credibility, a plan on how to act, when to act and where to act is vital. This kind of plan would ideally be framed through policy that is informed by evidence and which provides guidance on which resources to deploy and for which people. We tend to use anthropomorphic terms to describe institutions e.g young or mature. We therefore instinctively perceive them as being at varying degrees of growth, remaining in constant flux over a given period of time and responding differently to external stimuli or exogenous pressures. The capability of the institution in regard to collection, utilization and dissemination of data is one of the areas we evaluate because these capabilities have direct impact on resource allocation and the capacity to measure impact or progress in implementation. It’s within this context, of institutions within the state that are at varying degrees of maturity in regard to data and statistics, that the data revolution has been and will continue to play out. It is envisioned as a catalyst for evidence-based decision making and policy implementation as observed in the report of the High Level Panel of Eminent Persons on the Post 2015 Development Agenda. Although there has been a great deal of analysis on the data revolution, the state of statistics and the potential it portends for the sustainable development agenda, there seems to be a dearth of research on the locations within the state where the data is most useful. What does “decision making” within a developmental state mean in practice? Do we understand what it takes to realize “open access to, and use of, data”? How does the data revolution play out in real life? As discussed in an earlier post, policy content and policy processes don’t exist in a purely technical policy space but in one that results from political contestation and the resulting political settlement. This provides an environment that determines the extent to which evidence will be central to policy or the extent to which processes will be accountable. A developmental state, in meeting the needs of the people, would need to provide an environment for their voices to count in the policy content and within the policy processes. What it takes to move the needle on citizen engagement in the affairs of the state should be a central question within the data revolution discourse. Consequently, how greater institutional capacity for citizen engagement can be achieved, within the existing political settlement, becomes a central issue as well. Is it clear which institutions have data capacity gaps or where policy doesn’t lend itself to the ideals of a data revolution in a given country? Where institutions are weak or ‘young’, greater investments need to be made in strengthening the institution to deliver on its mandate as a priority i.e for it to “act with authority, credibility and legitimacy”. Diverting resources away from this core focus is detrimental to state building, which by default thwarts any efforts to realize a developmental state or a data revolution. The institutional structures in government need to be considered in order to understand where existential threats lie and their impact on the objectives of the state. Then investments on revolutionary approaches to data can be considered as they would be clearly located within the means of implementation, facilitating the state’s actions and roadmap. Are data and statistics part of the state’s “serious attempts to construct and deploy its administrative and political resources to meet the needs of the people”? Elsewhere, we explored three imperatives for a data revolution in Africa. The extent to which these three areas: access to information, human capital development and statistical capacity development are targeted for greater resource allocation and policy improvements can signal the direction the state is going towards institutionalization of data and statistics. If the signals of these attempts are weak, primary focus should be on realizing progress in those areas rather than the downstream data and technology initiatives which would likely have low political will anyway. Is there a clear understanding about the processes in which institutions use data and statistics to act? The bureaucracy is by its nature not very agile. The processes through which policy content is formed can sometimes be lengthy and require sustained engagement from all stakeholders. What starts out as fresh data could be outdated in later stages of the process creating opportunities for detractors to question the credibility of the evidence and hamper the efforts of the institution to act. For instance, even with a policy pronouncement on the change of first-line treatment for Malaria in Kenya, it took 32 months before early implementation could be complemented due to policy process difficulties including resource allocation and public procurement challenges which were not properly taken into account earlier. The developmental state uses its institutions to act. However, institutions can only act to the extent to which they have data. State action is vital to our conceptualization of the data revolution and its role in the journey towards realization of developmental states in Africa. Ideologically, the data revolution is about people, planet and prosperity. Practically, it’s not about data first; it’s about the developmental state.